ARTiFact: He was raised in Shanghai, China, where he spent his first ten years. He lived in a pagoda-style house situated amidst a Buddhist monastery, a Sikh temple and a Viennese cafe. 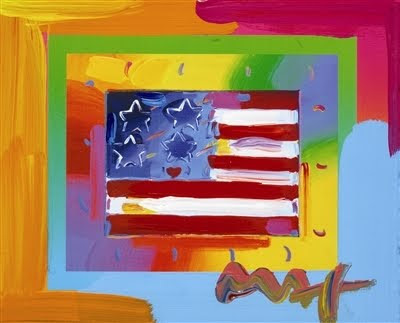 Notable Artwork (shown below): Flag with Heart on Blends - Horizontal Americana Suite, 2005.